The redefinition of marriage has been one of the most significant political issues of our time. A politician’s position on this issue exposes his or her worldview and gives a clear indication of how he or she understands the role of family in civil society. 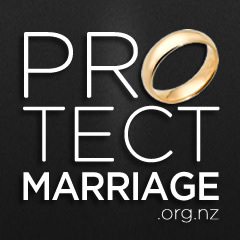 In 2013, Parliament chose to reject the traditional and natural union of one man and one woman as the basis for marriage, thereby side-lining its cultural and traditional significance and its fundamental role in the care of children. Marriage has been redefined principally as a contractual partnership. It is not an exaggeration to claim that, with no clear public mandate, politicians were, and remain guilty of ‘cultural vandalism’. The ‘equality’ cause is not advanced by destroying institutions. Marriage ‘equality’ was never about equality because there are people who are still not able to marry. It’s hardly surprising there are now attempts to extend the definition of marriage to allow for polygamy and group marriage, and to punish people who hold to the traditional definition of marriage. The redefinition of marriage has deconstructed and weakened the meaning and purpose of marriage as a specific cultural and historical institution. In 2004, the government introduced Civil Unions and changed over 150 pieces of legislation to provide legal recognition and protection for other forms of relationships. The State should not have presumed to re-engineer a natural human institution.